The Toyota Prius C is known as being the leader in hybrid cars and the most fuel-efficient hybrid car available. Now Fully redesigned this compact Prius has the same new double-wishbone rear suspension. The newly redesigned exterior of the Prius C makes a influential statement with the stylish front and rear LED lighting. 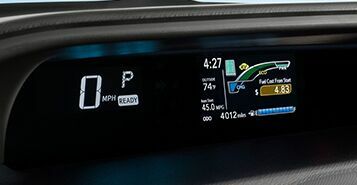 With even more impressive fuel economy, the Prius receives an estimated 48 city mpg and 43 highway mpg. The interior has been configured to create a more convenient layout with clear visuals and easy-to-find buttons. The Prius C will be a leader in the hybrid market but is also the all-around leader in both style and technology. Making driving less stressful, with the enhanced parking support scans for stationary objects, like walls or lampposts. 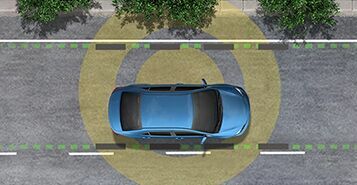 If the system indicates a object and anticipates a collision, it will give off an audible alert, reduce engine or motor output, and automatically apply the brakes. 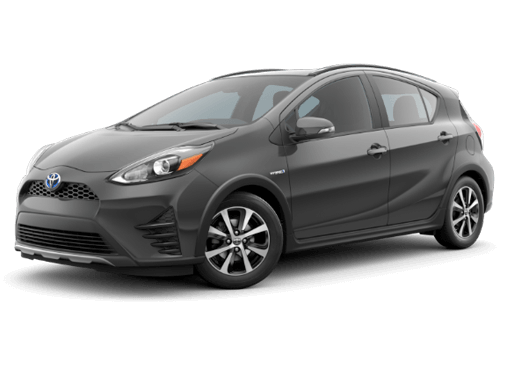 The Prius C also includes the Pre-Collision System and the Lane departure system which both keep you safe and in control of your vehicle. The all-new color head-up display uses aircraft-inspired technology to project important information right on the windshield. The full-color display can show speed, hybrid system indicator information and turn-by-turn directions, all while helping drivers safely keep their eyes on the road. 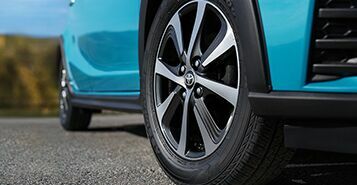 Get behind the wheel and get away with a fresh look by Toyota. Prius ’s smart tech and versatility will help you make your escape to paradise, while the expressive details and wide array of eye-popping colors are the perfect way complete any adventure. The all-new 15-in. 8-spoke machined alloy wheels in dark-gray-painted accents will have you standing out and feeling proud. Details like this ensure you’ll always roll up in style.